When you hire us to replace your gutters, you’ll receive service from our full-time employees, who have been thoroughly vetted to ensure they’re trustworthy and work with careful attention to detail. We also perform a 22-point Zero Defect check on every project to ensure you will be 100% satisfied with our work. Huff ‘N Puff also offers a warranty on both parts and labor, so you can have complete peace of mind that your investment is protected. 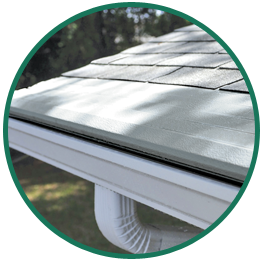 For more information on our seamless gutters in the Hudson Valley and Capital Region, call us at (855) 483-3678 today. Also, be sure to ask about our Gutter Helmet gutter guards, replacement windows, entry doors and other quality products.